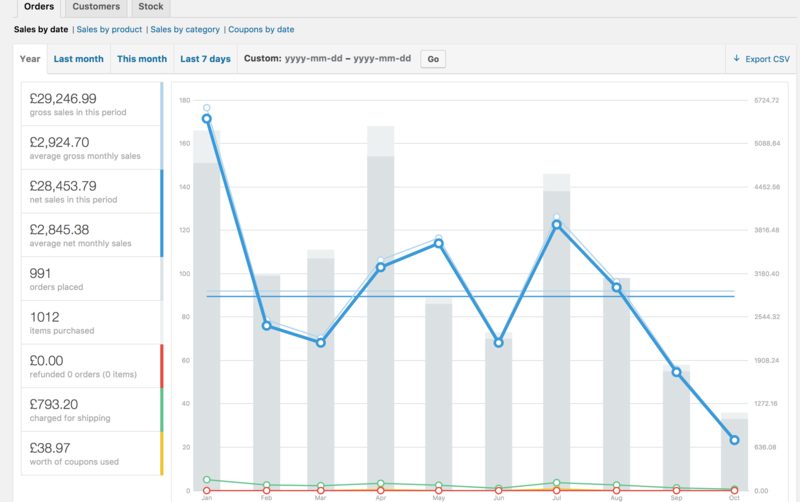 FreeAgent is leading accounting software for freelancers, small business owners and accountants. 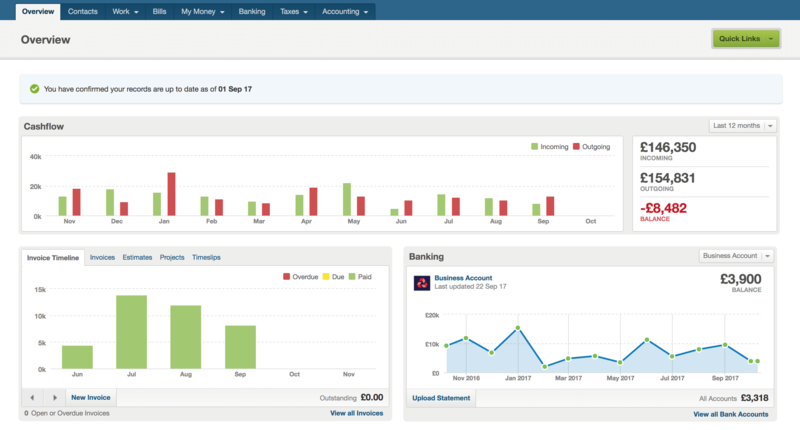 FreeAgent’s online accounting software brings everything together, from invoices and expenses to VAT, payroll and tax return filing. 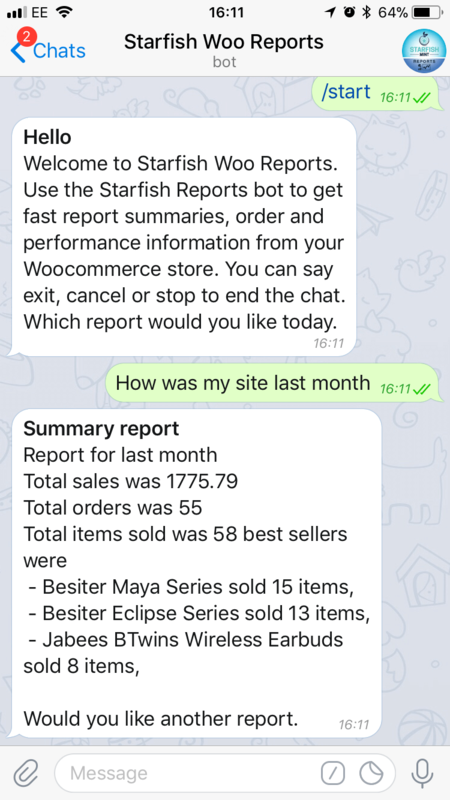 The Starfish Agent and FreeAgent integration means you can now access all those cool things that FreeAgent already offer you but all from the convenience of your favourite messaging app or when at home it can be as easy as asking Alexa, how your company is performing, has that last invoice been paid yet. WooCommerce is a free eCommerce platform that allows you to sell anything, beautifully. WooCommerce is the world’s favorite eCommerce solution that gives both store owners and developers complete control. With endless flexibility and access to hundreds of free and premium WordPress extensions, WooCommerce now powers 30% of all online stores. 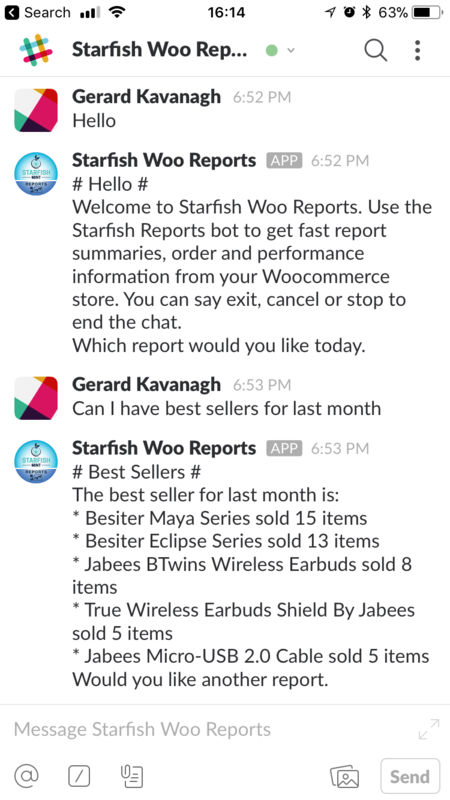 Here at Starfish we like making things easier and more accessible for our customers so we developed Starfish Reports to integrate with WooCommerce reporting for quick access updates on how well your site is performing. 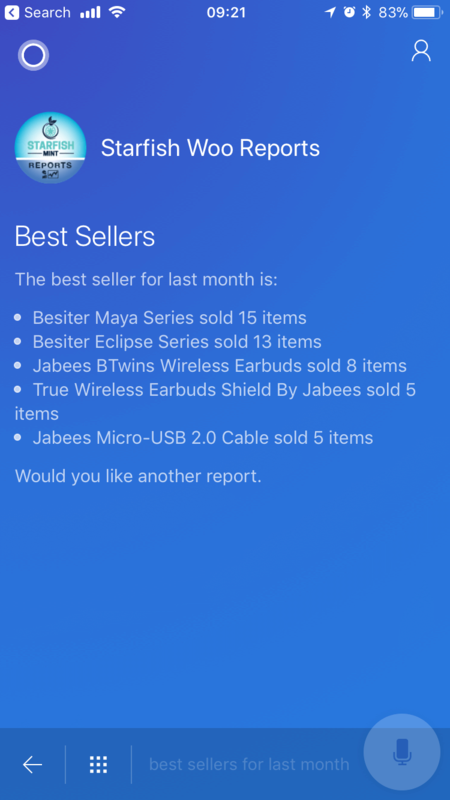 Maybe you are at the bank, in a meeting or just sitting relaxing at home, with our reports skill and bots you can ask Alexa, google home and now Microsoft Cortana how you did to day. And for when you are not at home you can just ask your favorite messaging application.. Go on give it a try. 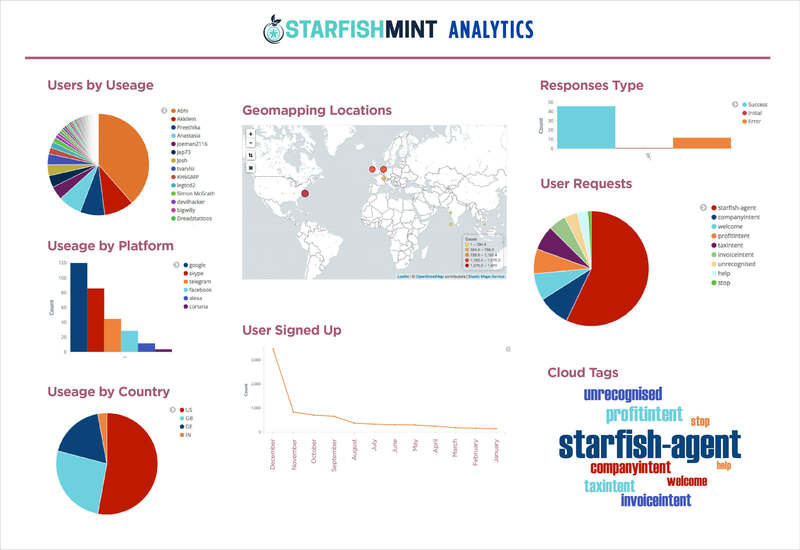 Analytics platform launched by Starfish Mint helps business owners discover interactive patterns.